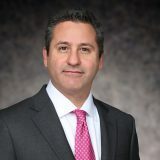 Kevin Abikoff is quoted in a 2011 Wall Street Journal article about the controversial espionage investigation at French car maker Renault SA, in which bribery allegations from an anonymous tipster led to the firing of three employees. A four-month investigation into the allegations failed to turn up any evidence, however, and the company is now planning to exonerate the trio. The case raises questions about how cautiously US companies should treat anonymous whistleblower tips going forward, and the article indicates that companies should consult outside counsel. According to Abikoff, American corporations have placed an increased emphasis on whistleblower allegations, due in part to new laws that reward employees for taking action against illegal activities. “Companies these days take whistleblowers extremely seriously,” said Abikoff, who was identified in the article as the head of the anticorruption and internal investigations practice group at Hughes Hubbard & Reed in New York. Partly because of changes to the laws, “corporate whistleblowing has gone from seeming inappropriate and unseemly to heroic and possibly very lucrative,” he said.